Your Fredericton Peterbilt DQ Royals are pleased to announce that this summers last regular season installment of “Friday Night Lights” will be for the Kids and former Royals players, coaches and executives. The evening is sponsored by Peterbilt Atlantic, proud title sponsor of the Royals Franchise for almost 10 years. 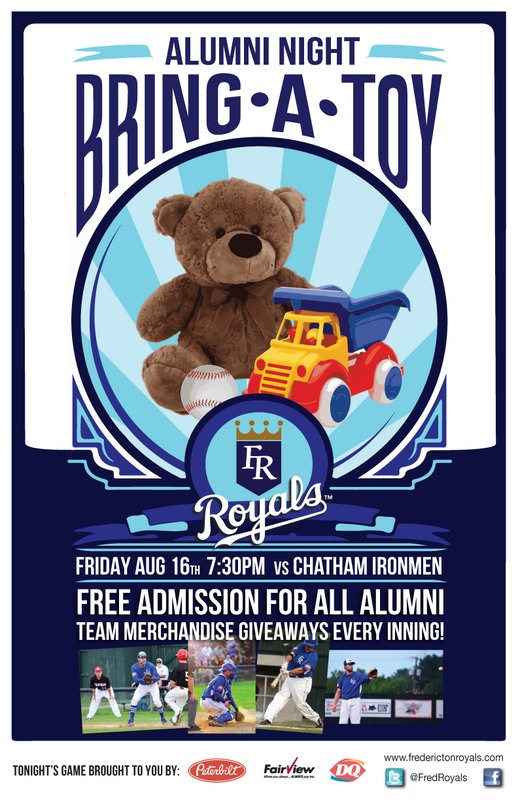 There will be a new vehicle courtesy of Fairview Chrysler at the gate for fans to drop off their unused or new toys that Royals Players will deliver to the hospital on behalf of the Royals and their fans. In addition ALL past Royals Players, Coaches and Executives will get in free. Royals Team Merchandise will be given away every inning too!